Redwine is probably a good player to bring in for a visit to try and get a better read on his approach to being an NFL player. Athletically he tests a player who would be drafted high. Can concentration and focus be coached up? Redwine joined his Killian High School teammate, safety Jaquan Johnson, in staying home for his college career. 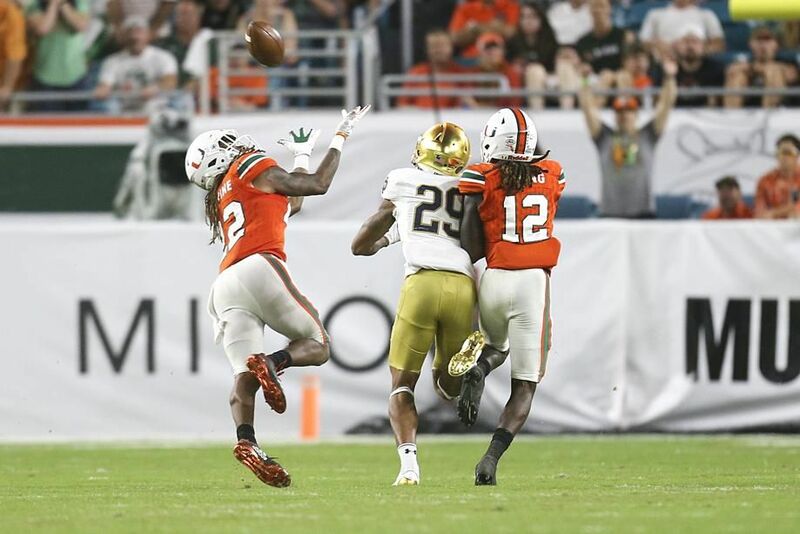 Redwine played 12 games as a true freshman, making 14 stops as a reserve cornerback and special-teamer. Redwine started five games at cornerback as a sophomore, collecting 28 tackles and two pass breakups. The versatile defender moved from corner to safety in the spring of 2017, then started 12 games there in the fall, racking up 59 tackles (2.5 for loss), intercepting two passes with six total pass breakups. ACC coaches voted Redwine honorable mention all-conference after his senior season (64 tackles, 3.5 for loss, three sacks, three interceptions, two pass breakups in 13 starts). Aggressive, versatile safety who lacks consistency in coverage, but who possesses the ball skills and run support ability to challenge for a starter's role in time. Redwine's lapses in coverage stem more from a lack of urgency than talent and that might be correctable. In run support and as a tackler in general, he plays behind heavy pad and handles his work with an NFL level physicality. He's better suited in split-zone or down in the box and could become a key cog of the special teams until he gets his shot to start. The Los Angeles Rams may have two starting safeties already on the roster in Eric Weddle and John Johnson III, but all indications point toward them adding to the position in the draft. They’ve hosted a bunch of safeties for pre-draft visits, the latest of which hails from the University of Miami. Hurricanes safety Sheldrick Redwine posted on Instagram Tuesday that he’s at the Rams’ facility, as shared by Billy Marshall of SB Nation. Redwine is a mid-round prospect who could be selected on Day 2 of the draft. He provides great versatility as a safety and nickel corner, displaying the athleticism to play either spot. At the combine, he ran the 40-yard dash in 4.44 seconds and posted a vertical jump of 39 inches. He’s not your prototypical single-high safety that the Rams might be looking for, but he can definitely contribute right away in coverage against tight ends and in run support. At the very least, he’d be a valuable special teams player early on before getting a chance to start in 2020. Last season at Miami, he did a little bit of everything. He made 64 tackles, had sacks, picked off three passes and forced a fumble. Redwine is the fifth safety who’s been reported as a pre-draft visitor for the Rams, which shows just how interested they are in players at the position. If they don’t select one at No. 31, expect the Rams to target a safety in Round 3 or 4. Edited 2 time(s). Last edit at 04/12/2019 06:22AM by Rams Junkie.